If you’re reading this, chances are you have been on either side of emotional blackmail and manipulation. This is such a huge issue in relationships of all kinds, from your partner to your supervisor. Emotional blackmail and manipulation is hooked up with your dignity, confidence, self-respect and sense of your courage. I highly recommend listening to this episode HERE. Have you been stuck in a cycle with someone that leaves you feeling like you can never win? Where you feel like you are always giving in? Not saying what you are really feeling? If so, you may be experiencing emotional blackmail. It’s not pretty, and you can be left with the uncomfortable feeling that there’s no way out without sacrificing who you are in the process. Don’t despair – there’s hope for you! 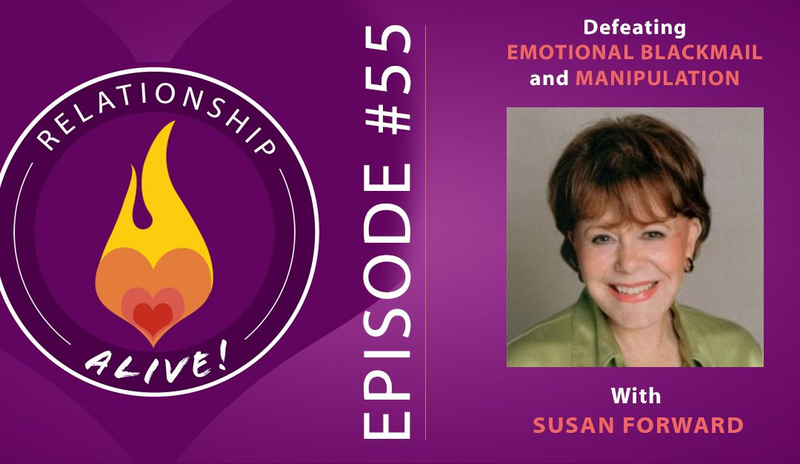 In today’s episode, we’re going to chat with the world’s foremost expert on ending the grip of emotional blackmail, Dr. Susan Forward, one of the nation’s leading psychotherapists, and a New York Times bestselling author who has spent decades helping people break out of toxic cycles and discover healthier ways of relating.